Oh, if that's the case, forget about the Bug Report! ^^ That NPC made me laugh so hard. Huuuh, finally finished the murder-mystery-solving segment and I have to say I REALLY enjoyed it, it was such a fun and even scary thing, good job on setting the atmosphere for that part. 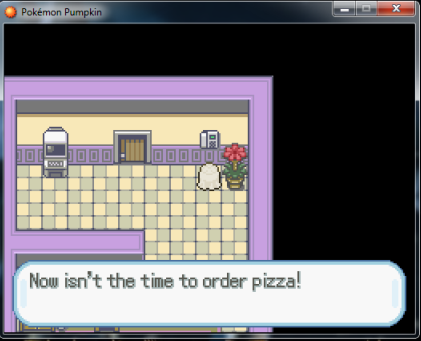 ^o^ I would have never expected to see such a thing in a Pokemon FanGame. Had to look up in the written guide once due to being stuck as Freddi told me I dont have enough clues when I thought I had, but that may be just me - anyway, I appreciate that a guide has been included at all. ...this lil' guy as my 5th shiny Pokemon after little more than 9 hours of playtime, I've began to wonder whether I'm just insanely lucky or whether the shiny rate is just high. Loving the Game by the way! Awesome, I'm so happy you're enjoying! 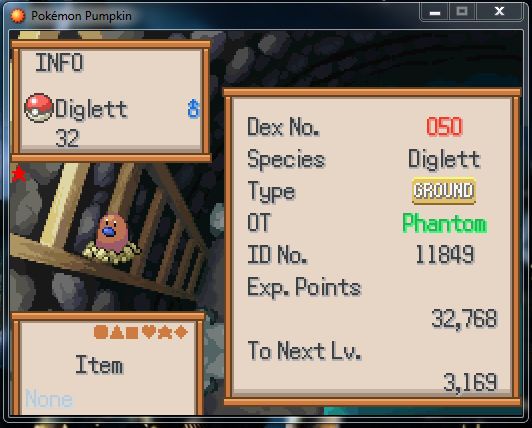 ^^ The game is short, so I figured, why not bump up the shiny rate? The encounter rate for it is 1556/65536 (or 2.4%). The Pokérus chance is also boosted to 3000/65536 (4.6%). I'm feeling a tad bit stuck/lost, so I wanted to ask something concerning progressing with the Main Story. Great Game, the only thing I found myself missing after a while is a map in-game for people like me who have a bad sense of direction due to an urge to explore everything and therefor tend to get lost easily, lol. 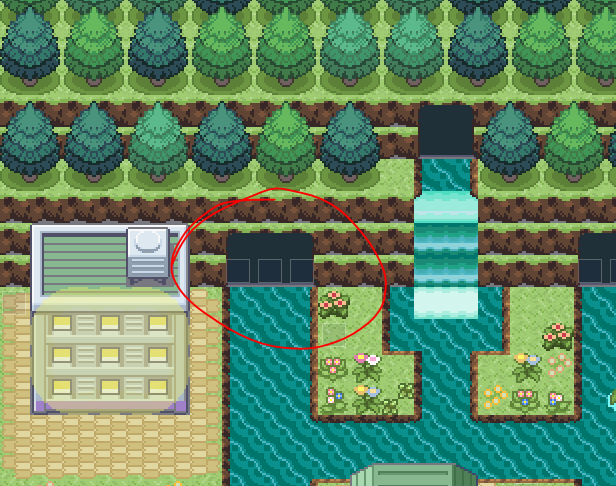 The entrance to the woods is in the north of Gyarados Bay. Cheers! Spoiler: Story and LateGame Spoilers! ...I've met the Seaside Slasher at the camp of the Scouts north of Gyarados Bay, defeated him with Freddi's loyal Growlithe by now Arcanine and collected candy from the houses in Sonoo Village marked as the last stop in Dahlia's tour. The clock striked 10 by then. Being allowed to use Cycling Road eventually I made my way back home, but I can't seem to be able to 'trigger' anything that'd progress things! Maybe I've done anything wrong or missed something? Thanks for any help again! you have to go across the bridge that was blocked in basch valley. Cheers! Thank-you Michael, my apparent social secretary. You do not need to go through Montgolfiere Springs before the end of the game, and I wouldn't really recommend it, because the Pokémon there are higher level. It's just a little sidequest. However, you can find Dive if you enter the westernmost cave in Nuphar City and fall down the hole in the cavern's corner. You also meet some new characters and have a chance to obtain a Pokémon while you're in that area! For actual story progression, you need to go to the roof of Blake Mansion, and from there, return back home in time for bed. 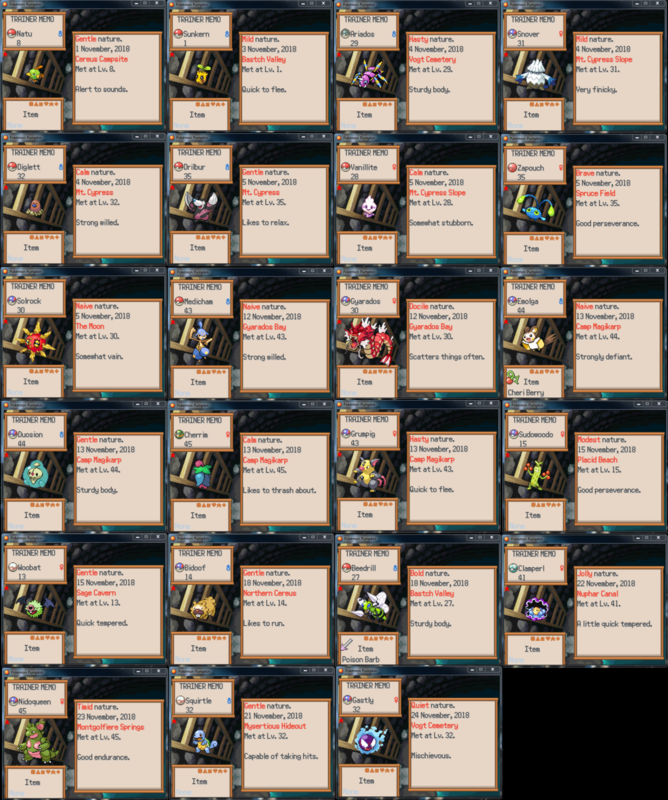 I've been at the Springs after having collected Dive (You were right, this dungeon is pretty tough but curiosity got me venturing in there anyway) and defeated that Driftblim, but something weird has happened as I wanted to get back to the house with the painting: I couldn't pass the door. Nothing happens as I step on the tile that is supossed to make me enter the house, I'm even able to walk on the map like a wallbreaker. Maybe you or Michael could look into it? Please? ._. EDIT: I guess it could have to do with how one is able to walk on an invisble path out of the map within the haunted Blake Mansion, that one Haunter hints to one? There's the same reflection of oneself. I'm guessing you're not too familiar with RPG Maker, but this is actually a pretty minor bug and an easy fix! It looks like there is an event transfer somewhere in the area that winds up turning the through command on. Hopefully you didn't save while it was turned on, because that makes it a bit more of a pain to solve your specific situation. If that is the case, please send me a DM and I'll give you a copy of the game with a special NPC somewhere in the map you're stuck on that can rectify the situation. ^^; You're right on this, as so far I don't own a copy of RPG Maker (yet, that is). But I'm very glad that there's an easy fix for it, DM incoming! ...I've visited Dahlia in the Mansion to earn me a Success for having visited every house of the region, now she's busy with eating all the collected candy. Nothing seems to happen when I now return home or turn in for the night upstairs. o.o; Or am I supposed to follow her example and empty my bag? - Great sprite work! It's really cool that all the Trainer Sprites have been edited to wear a Halloween Costume etc., and the playable character is just cute. - A love for details is found practically everywhere, and the Game really makes it to give off a Halloween-feeling. - Collecting candy instead of Gym Badges is a neat change of pace, I enjoyed that! ^^ Kudos for it being visible which houses you've visited already and which not yet. - Visiting the Pokemon Centers is pretty cool, you know what I mean. - You can heal in EVERY bed you find while traveling. - Eggs can be collected across the journey! - A murder mystery sequence, visit the Moon and an abandoned observatory, and fight against other ghosts! - A lot of moves use non-fitting animations which soon feels off, for example Razor Leaf, Solar Beam and Seed Bomb all use the animation of Razor Leaf. 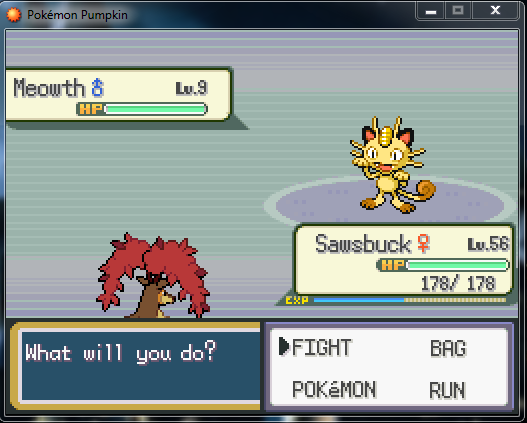 - I never really got used to my beloved Sawsbuck looking so...small when entering a battle, but I don't know whether this is due to the Game's coding or similar. - I would have rejoiced to find out more about that ominous 'ritual' the Campers perform within Sage Cavern - not that I disliked it (I really didn't! ), but I just felt like there's room for a bit more. In total, I'd give this Game an 8.5/10 - It's really great for several reasons and a safe recommendation for anyone who's up for a well-made and even complete Pokemon FanGame, some smaller things just need some more polishing. Oh my goodness! Thank-you so much! ^^ In your response to the move animations and the Sawsbuck issue, those are just the default assets for Pokémon Essentials. (The odd Pokémon in gen 5 seem to have smaller backsprites for some reason, even though they're the same size as the others) Moving on though, you're not anywhere close to finishing the game! 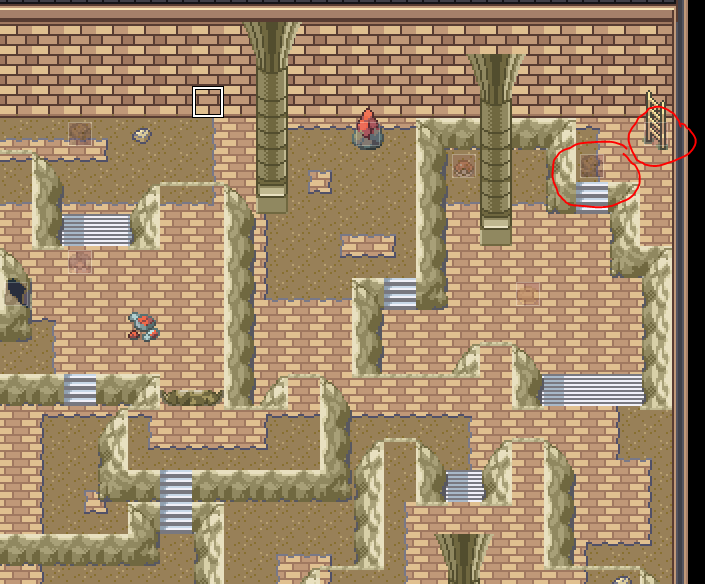 To get to the Clock Tower, where the final fight of the game is, you need to return to the mansion's underground and use your newly-acquired move of Rock Smash to clear the path to a ladder. The Mayor, among other NPCs, mentions this in his talk to you after you fight him at Blake Mansion. ("Uh, not that there are secret tunnels leading to the Clock Tower under my house! No sirree!") The Pokéball he leaves behind with Rock Smash also has a note indicating that's where you should be going next. This game has a proper ending along with credits, so you'll definitely know when you've beaten it. But, I'll also list the post/endgame things I'm not sure you've done yet. 1. Mew, in the Elm Town Pokémart. 2. Shaymin, in another area that requires Rock Smash, to the North West of Vogt Cemetery. 3. Deoxys, by standing on the edge of the moon and reflecting about your journey. A new version of this game has been released! 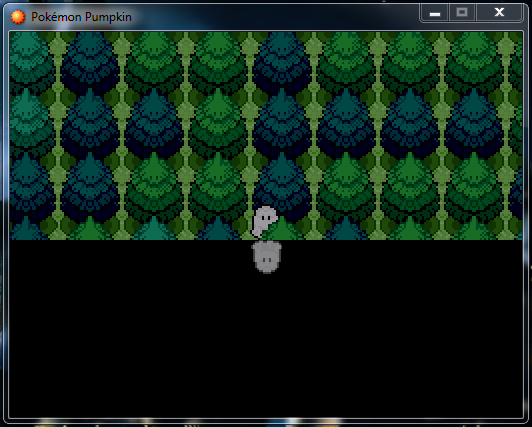 Yes, I know, the Halloween game has an update to correct some minor bugs right before Christmas. This is just a blanket for a few tiny things I've noticed! 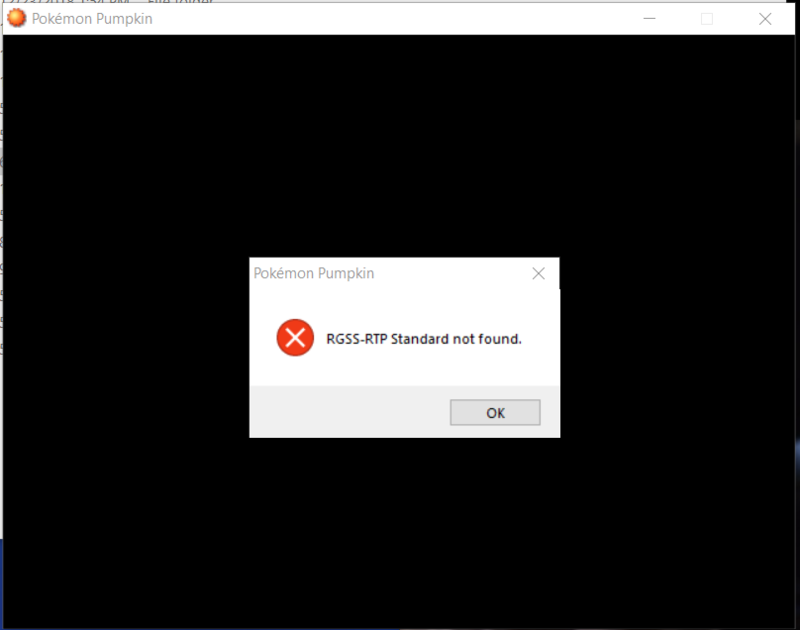 I'm trying the December 23rd version and keep getting this error. Redownload and extract didn't help. Changed the Game.ini to blank out RTP1 = worked.